Brushing your teeth twice daily and flossing daily are essential to maintaining good dental health. 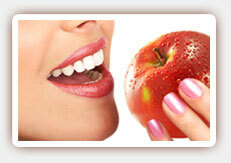 However, if you are eating an unhealthy diet, you may discover you are still suffering from dental health problems. That’s because good nutrition affects every part of our bodies, including our teeth. Poor food choices can increase your risk of suffering from tooth decay and gum disease while the right food choices can help combat the plaque and bacteria that contribute to unhealthy teeth, gums and bone. Cheese can often be a great choice not just for the calcium it contains, but also because it is low in sugar and acid and is a great source of casein, a protein that helps remineralize teeth. Yogurt is also a good source of casein, and it contains phosphates, which help keep teeth strong. Fresh fruit and fibrous veggies are excellent sources of the vitamins your gums need to stay healthy. They also tend to stimulate saliva production and neutralize oral acids. Fleshy, juicy fruits, such as pears and apples, are best for mechanically cleaning teeth and removing the particles and plaque from along the gumline. Tap water, which contains fluoride, can neutralize the bacteria in your mouth and provide enamel-hardening benefits. The water itself is also great for rinsing away particles and harmful acids that can erode the enamel on your teeth. Coffee and tea are also good choices. They contain bacteria-fighting substances that can help prevent tooth decay. Keeping your teeth strong and healthy can help them last a lifetime. 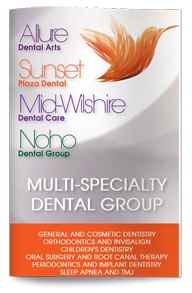 Contact our dentist in West Hollywood to learn more.